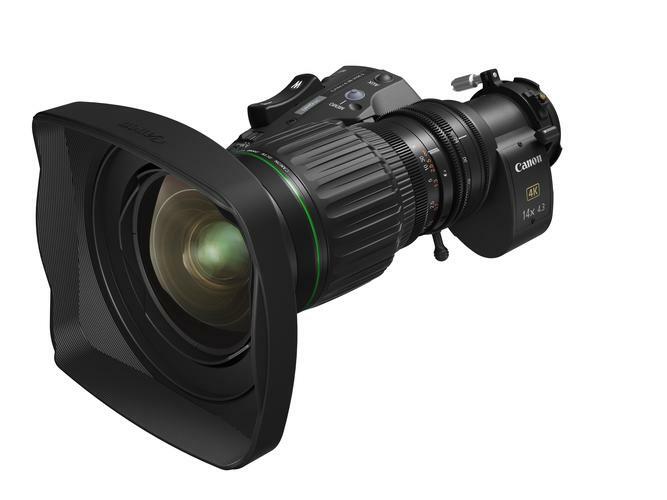 Canon has announced four new 2/3” broadcast lenses with 4K resolution, promising smooth operability while maintaining high lens build standards. 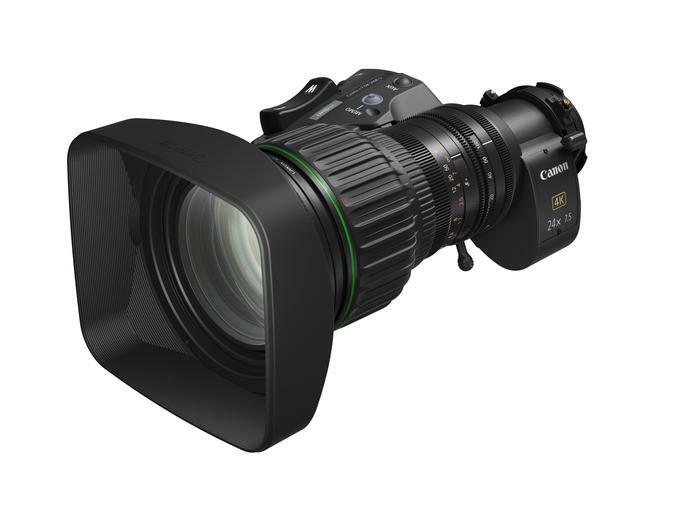 Built on Canon’s exceptional optical design technology, the CJ24ex7.5B, CJ18ex7.6B and CJ14ex4.3B deliver 4K resolution from the centre of the screen to the very edges. Special coatings and internal lens barrels, designed to prevent reflection and reduce ghosting and flaring, allow the operator to capture high-tonality images. Thanks to an optimised arrangement of fluorite and UD glass, chromatic aberration is reduced, providing greater clarity. With no loss of sharpness or colour fringing around the image edge, this quality is paramount for events, such as sports or concerts, when viewers want an enriching, detail-heavy experience. 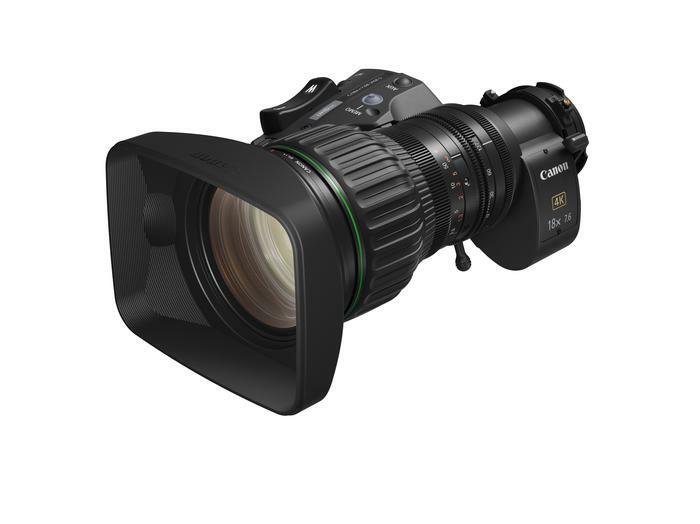 With compact and lightweight bodies, the CJ24ex7.5B, CJ18ex7.6B and CJ14ex4.3B offer excellent mobility for the camera operator, ideal for documentary making and new generation. An ergonomically designed grip means the lenses fit comfortably in the hand, offering an excellent feel and minimal strain on the shoulder. The finest optical materials have been used in the UJ66x9B to achieve a high 66x magnification with a focal range of 9mm to 1200mm. A new floating inner focus system grants further improvements in resolution, delivering class-leading 4K broadcast quality. This new lens also offers excellent focus operability, even in challenging situations, such as tracking a player running down a pitch. It proved a stable servo performance (0.6 second high speed zoom) from wide angle to telephoto, enabling the camera operator to confidently capture 4K content. 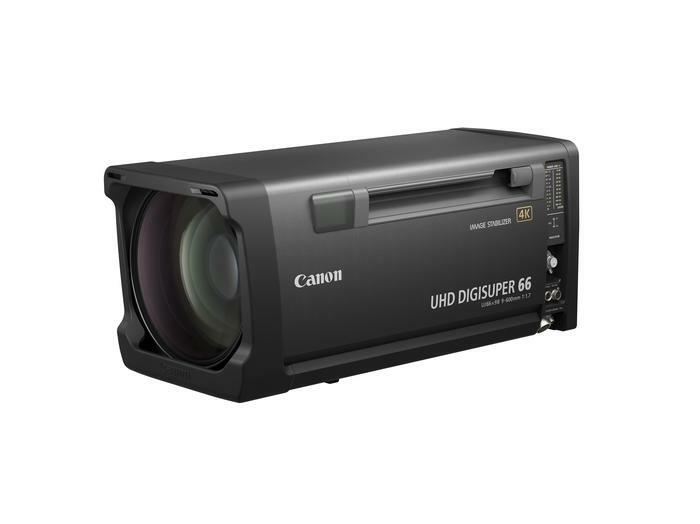 Even the slightest vibration can impact image quality when shooting in 4K, but thanks to the UJ66x9B’s built-in Image Stabilisation, servo technologies are employed in the lens to guarantee 4K performance, during imbalanced shooting environments, even when panning. These lenses will be available in phased rollout from July 2018 with pricing on application.